I am very troubled by Walter R. Houser's column, 'Protect your agency's employees from e-mail abuse' [GCN, Aug. 14, Page 22]. His justification for withholding official e-mail addresses as protecting employees is highly questionable. The process he proposes is not in good faith with the citizens and residents of the United States, and it violates federal law and regulation. Houser's draconian approach to potential e-mail abuse, harassment and electronic stalking is straight out of Richard Nixon paranoia. He misunderstands the purpose of the Privacy Act. The act prevents the abuses of power and authority that characterized the Secret Service, FBI, CIA, Bureau of Alcohol, Tobacco and Firearms, and other federal agencies during the Nixon administration. The act does not address how the public makes contact with federal government agencies or employees to find out information on programs or project decisions. The Privacy Act forbids the federal government from collecting and retaining certain personal information on its employees, citizens and residents without the consent and knowledge of those persons. The Privacy Act requires informing the public of these collection activities, and it provides a process for people to discover what information the government has collected on them. And it restricts to whom collected data may be given. I cannot write to the Pentagon and ask them to release information that they have collected on citizen John Doe because giving that material to me violates the protections accorded to John Doe by the Constitution and the Privacy Act. But the act does not provide a shield behind which the federal government may hide its decision and policy makers. Likewise, it does not prevent the government from monitoring computer usage, reading employee e-mail, or recording and monitoring employee telephone usage. Failing to make available a public method for contacting federal employees is a clear violation of the spirit and intent of the Freedom of Information Act and the Electronic FOIA. GCN welcomes letters to the editor. Letters should be typed double-spaced and must include name, address, telephone number and signature of the author. FOIA forces the federal government to be transparent. It forbids the government from hiding policy and decision makers from accountability. It does this by making available to the public their names, official addresses and official telephone numbers. 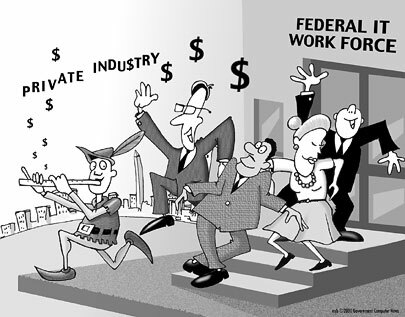 FOIA provides a concise list of pieces of information about federal programs and employees that can be released without employee consent. You can call a federal agency and ask if Gary Dickson is an employee, how much he earns in base pay, how long has he worked for the government, his office mailing address and routing symbol, and his office telephone number. E-mail addresses of federal employees are no different than office telephone numbers, address, routing symbols and room numbers. E-mail addresses simply need to be in the public domain. If there is a security issue because federal government employees believe that they are being stalked, then have the security experts deal with it. The goal of the Privacy Act, FOIA and E-FOIA is to ensure that we have a transparent government. Because a transparent government is an honest, trusted and respected government.